Something Worth Reading | If we want others to read our thoughts, we have to give them something worth reading. I spent the week before school acquiring a selection of books from my favourite used book store to add some more variety to my classroom library. These books were not on my to-read list, but they will hopefully be enjoyed by the students once they are placed in my classroom library. 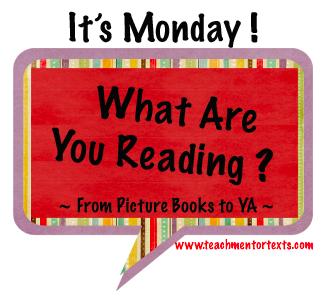 If you are web surfing and looking for other reading lists, check out the It’s Monday, What Are You Reading? link. Living and going to school on an air force base has disadvantages for Bo, the son of the air force colonel. It also does not appeal to Bo’s cousin Gari, who was forced to live on base after her mom becomes a nurse in Iraq. But when their kind teacher, Miss Loupe, is given some terrible news, her students unite to try and solve her troubles. 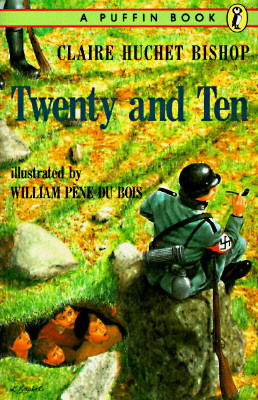 This book had heart, and showed some realistic character development. It was an enjoyable read. Starting from the rise of Hitler, and ending with the postwar world, this book provides an extensive timeline of World War II. 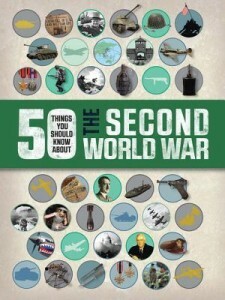 It did not provide any new pieces of information for me, but its small, digestible, and easy to read facts would be an interest to several students. This book allows its reader to learn about King Tut’s biography, as well as the world of Ancient Egypt. 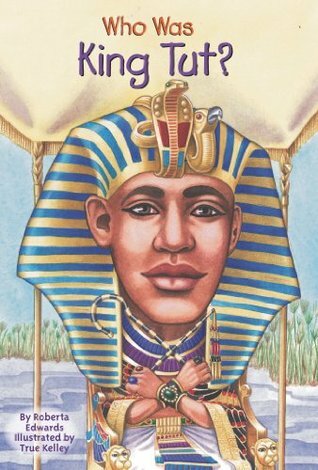 It gave me some small pieces of information I did not already know, and I’m looking forward to using this resource in our class’ Ancient Egypt unit. 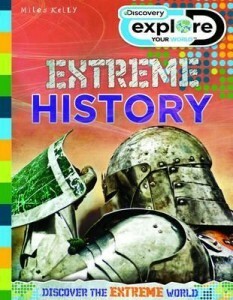 In the same spirit as the Horrible Histories series, this book gives brief facts about the crazy and weird parts of history. I’m hoping it will be a good addition to the classroom library for my reluctant readers. 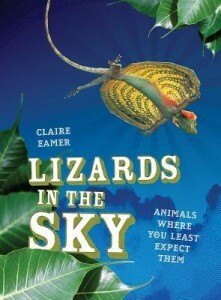 I enjoyed reading about the unique environments of various animals around the world, and learned several new interesting facts. I would recommend this book for the budding scientists or collectors of curious facts in the classroom. Joseph “Jelly” Miles really wants to show up Victoria, the class pet and perfectionist, at the public speaking competition. Winning a brand new tablet won’t be too bad either. But with his struggle for finding the right speech topic, as well as his own computer and relationship troubles, it may be difficult to show everyone his true self. This book was a quick read, and I found the characters rather formulaic. However, I can see how students would enjoy the events in the story and would cheer for the main character. I send good wishes to all teachers, administration, and students heading back to school tomorrow. Have a great first day back! Looking back, I did accomplish much of what I wanted in 2015. I shared ideas with my colleagues, including presenting to student teachers at the local university and becoming team leader for my grade at school. I read over 100 books, including participating in the #bookaday challenge over the summer. I used my instagram and twitter accounts to promote ideas and literacy, as well as connect with students. The only goal I didn’t complete was to write more posts. Therefore, in 2016 I plan to share more of my thoughts on this website, including book reviews and lesson plans. Based on this past year, it will be a challenge, but I feel it will be worth it for my own professional development. I promised myself that in 2015 I would write more posts about reading, books, literacy, and education. Now, with the New Year approaching and my resolution needing to be fulfilled, all I want to do is go and read Masterminds & Wingmen by Rosalind Wiseman. I think that’s telling about how I’m going to approach the New Year. I will try to make 2015 a year of learning and sharing. I will continue to read books that engage and inform myself and my students. I will use social media as a tool to realize my own potential and connect with other educators, while still remembering that the printed word will be my primary focus. Finally, I will continue to foster the love of reading at home, as my son practices his letter sounds and announces that it’s time to “go to bed and read books”. So many New Year’s quotations compare the coming year to a new chapter or a fresh page that must be written upon. Here’s hoping my next chapter will be informative, enlightening, and satisfying. 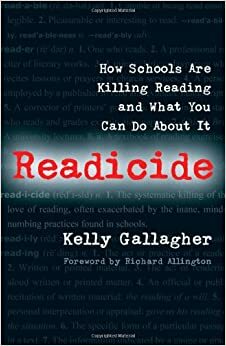 This book outlines the problems in the classroom that are turning students into non-readers, such as too much emphasis on standardized tests and over-teaching classic literature. It also offers solutions to these problems, such as close reading strategies and an emphasis on independent reading in class. Gallagher has written a book that is a good companion to Reading in the Wild by Donalyn Miller. When four Grade Six students come together to compete in an academic competition, their teacher can never quite explain why she chose to combine this terrific group. Told from the perspective of each of these four students and their teacher, this book is a pleasant read as it teaches acceptance and companionship despite differences. Set in the Middle Ages, this book tells the story of Adam, the son of a wandering minstrel who loses both his father and his dog and must fend for himself for months in various villages surrounding London. The book was a little slow in parts, and had no definitive climax, but it gave great descriptions of life during the 1300’s. 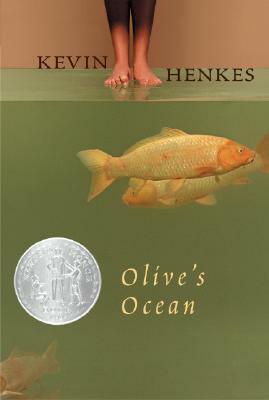 This book describes a young girl learning more about herself and her family while on vacation at her grandmother’s seaside cottage. 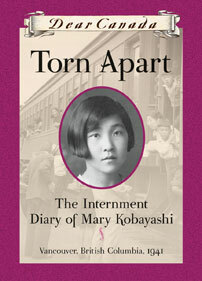 It is a wonderfully calm and earnest read for those who enjoy realistic fiction. 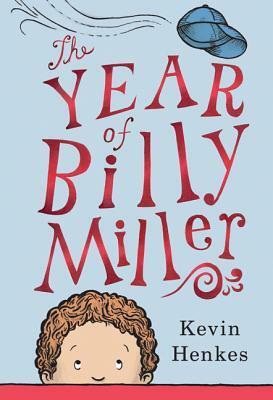 Billy Miller is about to start Grade Two. Throughout the year he will encounter a misunderstanding with his teacher, an annoying classmate, a wonderful yet frustrating younger sister, and a patient mother and father. This book serves as a great introduction to chapter books for young readers. Orphan Hattie has been bounced around from one distant relative to another, until she decides to try to settle a land claim in Montana that was left to her by an uncle she never knew existed. This book gives a good view into what life was like for pioneers in 1917, as well as giving insight into how World War I affected the homefront. 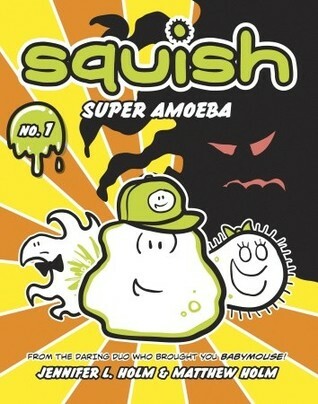 In the first graphic novel of the series we are introduced to Squish, a small yet courageous amoeba. Squish wants to do the right thing and protect his friends, even if it means getting eaten by Lynwood, the amoeba bully. The humour is often a little too simplistic for adults, but this would be a good book selection for emergent readers in upper elementary and middle school. I’ll keep reading, and try to post some more of my book selections next week. Allow kids to read what they are interested in. Don’t limit a book or story simply because it is a graphic novel, or you feel the book has no solid reading value. I had a student who started the year reading Diary of a Wimpy Kid and I, Funny, and is now working his way through the Newbery Honor book Al Capone Does My Shirts. Start at their level, and then continue to introduce books that will pique their interest. Don’t get discouraged by students who do not read anything, and who fight you on reading in the classroom. Continue to provide book recommendations without forcing them to make a choice. Often they will make a decision on their own once they see that you want them to simply read, and are giving them the autonomy of choosing what they can read. Provide a visual of the students’ progress. We put a paper chain around each classroom, with one link in the chain being one book read. Students can then see the entire classes’ progress. We also created a friendly competition between the classes, where each month the class who read the most books keeps the reading trophy that a student made in woodshop in their classroom. It helps the students to own their reading success. Be a fangirl (or fanboy) about the books you are reading. Model reading in the classroom. Write the books that you are currently reading on the board. Get excited about the YA books that you enjoyed and share them to the class. Be honest and let the students know if you are struggling with getting through a book that doesn’t interest you. Treat your informal class book discussions as a book club discussion. Students will hopefully see reading as a hobby that deserves time outside of school if you treat it as an enjoyable pastime. There are still some improvements that I need to work on for this project next year. For example, we have largely stopped writing in our reading notebooks because of time constraints, and are instead sharing our books verbally during the assigned reading block. Next year I would like to more closely link independent reading to my curriculum by creating time for reading workshops that match our Intended Learning Outcomes. I would also like to have time to place all of the student names into my classroom library organizer, and use an ipad to have students scan and check books out of our classroom library. Finally, as always, I need to keep reading more books to give more reading recommendations, so any suggestions are always helpful. It’s back to school for 2014! This January I decided to implement a pod challenge, where my two classes (including the teachers) will work together to read 200 books. The students will start the challenge tomorrow, but the teachers started the challenge over the Winter Break, where there would be more time for us to read. Because it’s the first week back, I don’t really have time to give a review of each book, but here’s what I read this past week, plus my reading plans for next week. I think you can see that this week I tried to finish a few books for my Newbery challenge. I will let you know how our pod is progressing next week. Wish us luck! When I first started teaching Language Arts I planned my units the way I saw other teachers do. I used the whole class novel sets, I planned my own assignments and activities around the novel we would read, and I set up all the criterion-referenced assessment and rubrics in advance so the students would know how they would be graded. Yet, as I taught these units, something usually didn’t feel quite right. I could never get the entire class to engage and participate in the novel. 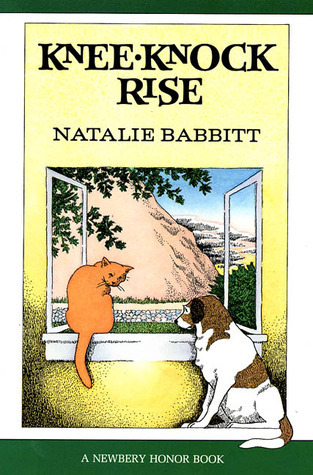 I never liked the fact that my two, sometimes three, middle school classes had to share a 30 novel set, meaning that the books had to be signed out by request if the students wanted to read at home. I struggled with not allowing the students to read ahead, because although I was told it would help to teach prediction strategies, I was never comfortable with asking the students to do something that annoyed me as a student. Over the years, I kept trying to think of new ways, sometimes small ways, of getting the students to enjoy reading. I found that literature circles were better than whole class novels, but only if I provided a lot of background knowledge before we began, and even then I would have students who did not enjoy any of the novels that were available for me to use. With the help of some great teaching partners, we tried gender based novel studies, which were fun but also left me with students who did not like the books the teachers had chosen. I noticed that I would get some of the reading passion I wanted if I talked to students about the books they had chosen to read recently. I remember the first time I told a student that I had read a book that she had recommended. I had meant it as just a casual conversation, but the look in her eyes as her teacher told her she had listened to her recommendation told me that this is something I should do more often. I wanted to change something in how I structured reading time in the classroom, but I was not entirely sure where to start. 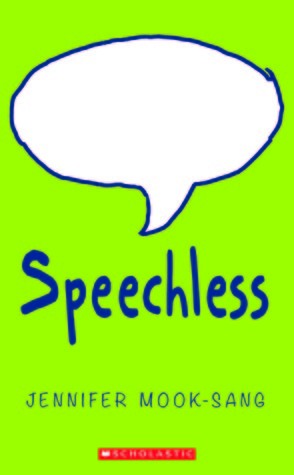 But then, over my Maternity Leave, I was able to read The Book Whisperer, by Donalyn Miller. For me, this was the plan that I needed. Miller outlines how to reorganize your teaching and your classroom to meet the needs of readers. Her advice ranges from simple ways of encouraging independent reading in the classroom to a plan for a year-long reading workshop. She gave me concrete strategies that I could use to give my students reading choice while still adhering to the learning outcomes that have to be part of my Language Arts curriculum. It was one of those teaching resource books that had me continually thinking, “Yes, this is what my classroom needs to be like”. Unfortunately, I couldn’t set everything up for September, so I’m not sure I can give Miller’s comprehensive reading workshop justice. Therefore, my New Year’s resolution is to test out many of her strategies in the classroom and make them happen. My classroom library is all pulled out and completely organized by genre. The reading notebooks are created and ready to be handed out. The students will be getting more independent reading time in the classroom, more conferences with me about the books they are reading, and more time in the library. They will be given reading goals, with our two classes having the goal of reading 200 books in January. I had already planned to teach a new literature genre each month, so students will be given more choice within that genre when it comes time to choose their reading. The staff will be warned that students will be encouraged to ask them about their favourite books, and I will encourage staff to stop by the class and talk about their reading. I am sure there will be “developing readers”, “dormant readers”, and struggles matching books to student interests. However, if I can be inspired by a book, perhaps I can help my students to uncover their own inspiration by finding a book that speaks to them. After catching a great interview last week with Young Adult writer Rainbow Rowell on the Canadian TV talk show The Social, I went to the show’s website to see if I could learn more. There I found an opinion editorial written by their digital correspondent, Jessica Allen, on why she is not a fan of YA novels. Of course she is entitled to her opinion, but as I read through and then thought about her reasons why, I feel that as a fan of Young Adult writing I need to comment on a few of her thoughts. First, Allen is totally within her right to not read this particular genre. She is very lucky in that she has found her reading voice. She has experience reading, has explored different genres, and has discovered what she is looking for in her literature and what she does not appreciate. However, others are not so lucky. At least a third of adults today have not read a book since they left high school, and some hold it up as a badge of honour. These people have not yet found their reading voice, and the way to solve that is to expose them to a variety of different genres so they can develop discriminating tastes and learn what they appreciate and do not appreciate in a work of literature. If that means they enjoy reading Rainbow Rowell’s Fangirl, Kristin Cashore’s Graceling, or Rumiko Takahashi’s graphic novel series Mermaid Saga, let them experience it to discover their reading voice. Allen seems to divide her reasoning behind why she will not read Young Adult literature into two sections. The first is that she dislikes the vast merchandising and commercialism that these novels generate. I don’t think this is a very strong argument, as the evils of marketing seem to be a catch-all argument in our society for those who want more purity in their pop culture. Teenagers and young adults have lots of disposable income, and people try to market towards that. But this does not mean that the merchandising will be successful. The failure of Percy Jackson and The Mortal Instruments movies at the box office demonstrates that the books are loved on their own, and that flocks of young people won’t simply make a book a success because an ad tells them to. You cannot take Harry Potter, Twilight, and The Hunger Games as the “big three” of the young adult marketing scheme and think that it will apply to any YA book. 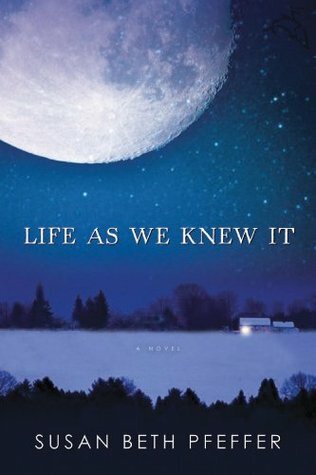 The second reason Allen gives is that she no longer feels the need to read novels where the adults are the problem, the kids are the heroes, and that life has the possibility of becoming better. She has many more adult novels that take priority on her to-read list before she would consider picking up a young adult work. That’s fine, but it seems to me that in this case she is criticizing the genre for being the genre. While it is true that young adult books often have the characteristic of young people saving the world or being the voice of reason, I find that having these main characters gives a sense of raw emotion that is just not present in much adult fiction. Too often in those books the theme or meaning is hidden behind complicated words, complex metaphors, or detailed illusions that show how “deep” the author is. But when I chuckle as I read about the surfer mumbling “bad ‘shrooms” as he paddles away from Percy Jackson emerging from the ocean in a translucent pearl, or cry out as I try to fathom infant euthanasia in Lois Lowry’s The Giver, I am experiencing uncomplicated, raw emotion. I would argue that this makes Young Adult books relatable to a wider audience, as we can have frank discussions about the obvious themes and conflicts in the books. As for Allen’s comment that Young Adult books usually have the theme of hope, and that life can get better, can someone please explain to me how one can outgrow a longing for that kind of warmth and security? I am unique in that reading Young Adult fiction is part of my job. If I want to encourage reading, I have to read YA books so I can recommend them to students and help them find their reading voice. It can also get a little embarrassing in social situations where books are being discussed. One person has read Guns, Germs, and Steel, another has finished The Girl Who Played With Fire, and you have to confess that the best book you have read over the past couple of weeks has been Jennifer Holm’s Penny From Heaven. However, I like the YA genre. It gives me the opportunity to explore themes and emotions within a well-written setting and with likeable or interesting characters. And really, at their heart, I think that’s what most genuine readers are looking for. This week was Banned Books week. This event was created in 1982 in response to an unusually high number of challenges to books in libraries, schools, and bookstores across the United States. Those supporting Banned Books week are encouraged to advocate for freedom of book choice for children, as well as speak out against censorship. The American Library Association records times when books were challenged (a request by an adult that the book be removed from the shelves) or outright banned (when a request was actually approved and the book was removed). Most of the requests seem to be regarding vulgar language, explicit content, a threat to family values, or that the content is simply unsuited for the age group that may want to read the offending book. The idea that strangers can have a say in what you can and cannot read is unsettling. While they feel they are trying to protect your sensibilities, they are really preventing you from using books to explore worlds that are beyond what your current reality might be. 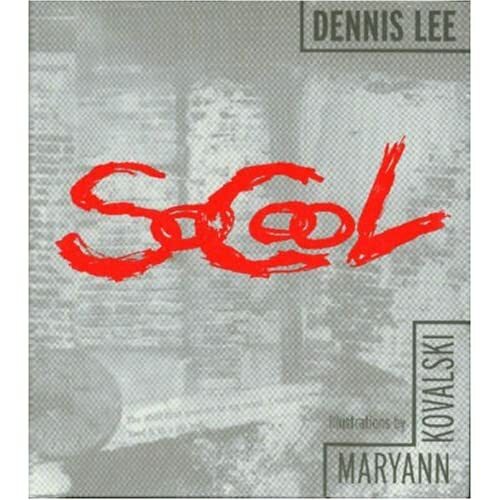 Eventually every reader must leave behind a sanitized and concrete perception of life, and explore new and abstract themes and ethical questions. It is really a part of growing up to take a new and unusual concept, practice critical thinking by forming an opinion about the idea, and be able to debate points with others while still granting them respect. If a few take the liberty of continually speaking for the majority, it feels like a slippery slope where children will have less practice independently deciding what is the best choice for themselves. It is therefore up to a child and his parents to decide if a book is worth reading. Parents have that essential connection with their child, and obviously have the knowledge of whether their child is developmentally or emotionally ready to tackle a book with controversial content. A teacher’s role is to be transparent about what books will be read in the classroom, offer alternatives if necessary, and make sure that a wide selection of books are available for students’ varied interests. Much has been made about teaching today’s children to be empathetic and responsible citizens. In order to do this, we must allow children to freely make their own literary choices, and to explore the world of books with the adults in their lives being guides rather than authoritarians.